The Virgin Renter – Apartments for Rent in Doylestown Pa. This week’s Room of the Week is a statement in modern and classical style. We love the fresh color scheme added to a finely detailed white room. Chairs look plush and comfortable as well as stylish. This room design would be great in an apartment or condo living room. Found on Greige Design. Stroudsburg Pa Apartments for Rent. Looking for a 55+ community in Stroudsburg Pa? 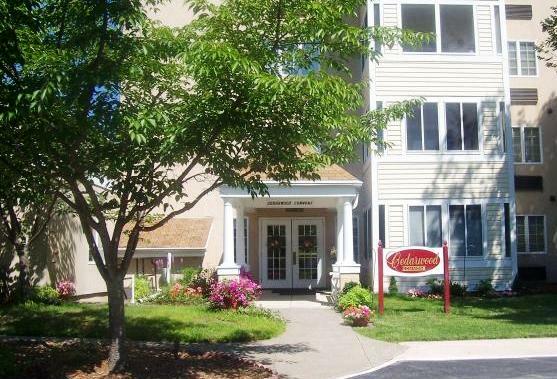 Look no further than LaBar Village for lovely townhouses to buy or apartments for rent, in the Pocono region of eastern Pa.
Our featured apartment for rent is in the Cedarwood section of Labar Village, a 55+ gated community that offers a relaxing living environment on beautiful grounds. This is a lovely one bedroom condo in a clean, well-kept building. Elevator on premises and reserved parking is featured. A reasonable rent is offered at $835 a month plus electric. Everything else is included. Click here for more details and contact information. LaBar Village takes most of the maintenance responsibilities such as lawn care, snow removal and garbage pick up. Living in this community offers beautiful landscaping and a “park-like” atmosphere, places to walk, exercise, recreational activities and an on-site restaurant. A shuttle for residents is available also. The community is close to Route 80 and is minutes away from downtown Stroudsburg Pa.
Other Stroudsburg Pa Apartments for rent can be viewed here. Lovely 3 bedroom 1200 sq. ft. condo is available for rent for around $1070 a month in Las Vegas. No Broker’s fee. Features a balcony, patio, and pool among its many quality amenities. Pets allowed. Click here for more information and contact info. Available apartments, townhouses and homes For Rent anywhere in the USA! Apartments I Like articles and images. We here at Apartment I Like continue to honor and admire all designers and photographers and their work. We strive to give credit to all images we use in our articles. If we have unknowingly used your photo on our blog without giving credit please let us know and we will happily give the appropriate acknowledgement and link.